Wondering how you can use LinkedIn to generate new business? Are you sending out generic connection requests that lead with a pitch? Disappointed that you’re not getting the results you expected? LinkedIn can be an amazing platform for capturing the attention of your ideal clients if you do it right. Here’s what your agency is probably doing wrong and the three simple steps to turn-it around right away. 3 step strategy to LinkedIn success. One simple lead generation hack for gaining new prospects. Today I chatted with Dennis Brown founder of Ask Dennis Brown, a LinkedIn marketing and social selling agency. As a serial entrepreneur, Dennis was admittedly a social media naysayer. While starting his third company he decided to try out LinkedIn and with some persistence, he landed a 6-figure client and became a believer. Today he shares his simple and successful strategy for LinkedIn that you can implement for marketing agency immediately. The most important thing with any social media strategy is to have a system and be consistent with it. Dennis’s strategy is simple: The 3 C’s: Create, Connect and Convert. 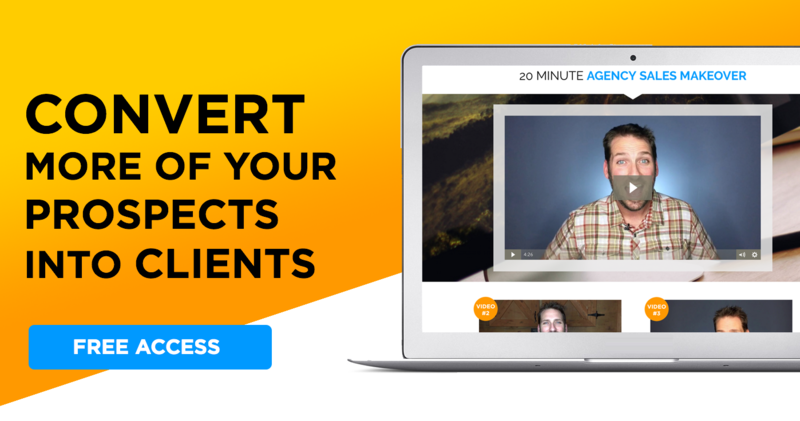 First create a profile or customer avatar for the perfect prospect. Then, create a compelling LinkedIn profile. Don’t treat this like a resume, instead this should be built like a personal or agency branding page. Follow these 5 steps for creating your agency’s LinkedIn profile. Use your agency’s customer avatar to find new clients and then use the advanced search options in LinkedIn. Research, research, research. Compile sales intelligence, such as personal information, what are their ping points, where do they get their information? Use this sales intelligence to create a customized connection request and make it personal. The key here, is in customizing this connection request, which can double or triple the response rate vs. a blind, automated connection request. Do not think of this as converting to a sale but instead convert them into a fan. Get the prospective clients to engage with you, either through content your agency is publishing or through LinkedIn messenger. Put together hyper-focused content and remember, this is not a sales pitch. Your agency wants to create content relative to the prospect, or directly related to that market, so use language the client speaks, and provide information they care about. Think of it in the lines of a drip sequence, without the automation. Lastly, provide value and offer to connect your prospect with someone of value to them and their business. 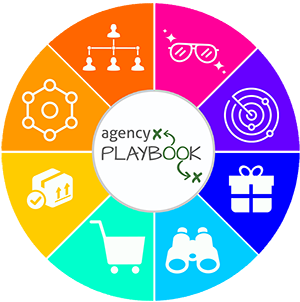 Leverage your agency’s network, while ultimately giving value to both parties. Do you find when you ask for referrals they don’t usually pan out? This can be for one of two reason. Either the client is uncomfortable because you put them on the spot. Or, they are not ready to start referring your agency because you haven’t proved yourself yet. That’s OK because referrals are not scalable! But, if you have a premium LinkedIn account try this simple lead generation hack. Take a look at your clients LinkedIn connections and see who they know, that you wish you knew 🙂 Search for decision makers of other brands, based on what your agency is looking for and who you hope to work with. Next, create a list of prospects you’re interested in and share the list with your client. Then, ask for an intro/referral. By doing the work for them and bringing them specifics it increases your chances of your client passing along the referral or helping make the connection.